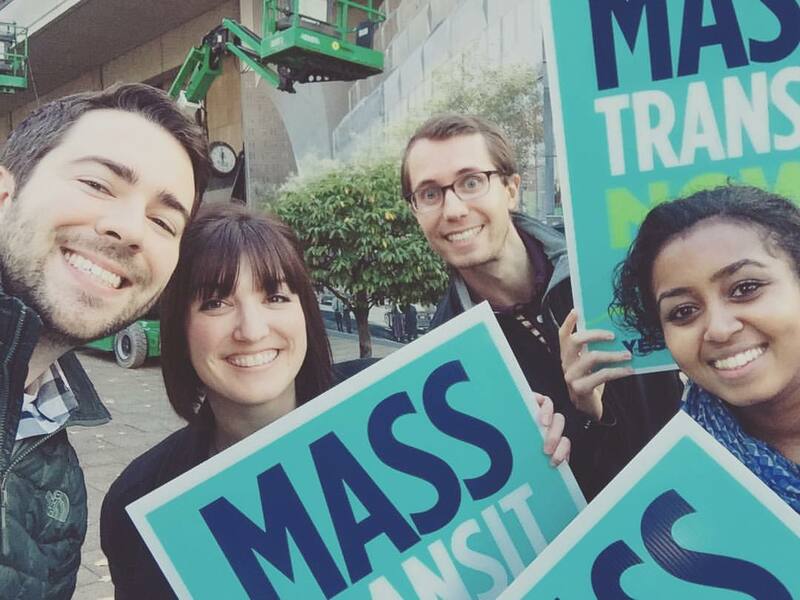 Last night had the makings of a historic election for transit. Voters in cities as varied as Raleigh, Indianapolis, and Los Angeles turned out to support ballot measures to dramatically expand bus and rail service. But the election of Donald Trump and the retention of GOP majorities in both houses of Congress cast a pall of uncertainty over transit agencies everywhere, with continued federal support for transit suddenly in doubt. Indianapolis area voters approved a comprehensive transit expansion package that will significantly upgrade bus service throughout Marion County. Raleigh and the rest of Wake County voted for a similar package of additional bus service and BRT routes, as well as a commuter rail connection to Durham. Atlanta handily passed a half-cent sales tax that will expand MARTA’s rail and bus networks, as well as a separate measure to fund local complete streets projects. In Seattle, a $54 billion transit expansion package including 62 miles of light rail appears on its way to victory. In Los Angeles, Measure M seems likely to clear the difficult two-thirds majority needed to pass, generating $42 billion for new rail and BRT lines over the next 40 years. And in the Bay Area, Measure RR also garnered enough votes to pass, securing funds to repair and upgrade BART for higher capacity. One big local setback last night happened in Detroit and surrounding counties, where a historic regional transit package went down in a very narrow defeat. The margin was close enough that the proposal could be revived at a later date and stand a good chance of passing. Overshadowing these results, of course, was the national Trump/GOP wave, which could threaten transit in profound ways. Every major transit ballot measure counts on a degree of federal support for capital projects. But this year’s Republican Party platform calls for eliminating all federal funding for transit (and walking and biking). If that plank were to become law, the effect would be felt in every major city, not just the ones that passed new ballot measures (which would actually be somewhat more insulated from federal policy turmoil). Transit agencies would have to cope with sudden funding shortfalls, jeopardizing the nuts and bolts of running buses and trains. Past GOP efforts to make good on the threat to zero out transit funding have failed, with some Republicans joining Democrats to thwart the attempts. The last transportation bill, the FAST Act, also sets aside about $10 billion a year for transit through 2021, lasting beyond Trump’s first term. But the Republican position in Washington is going to be much stronger now than at any point since total opposition to transit became enshrined as party doctrine. Current laws can be rewritten, and transit riders and advocates can’t take anything for granted and will have to guard against an all-out assault on federal transit funding.